From Des Moines, Iowa to Broadway and everything in between is how I'd sum up this book. 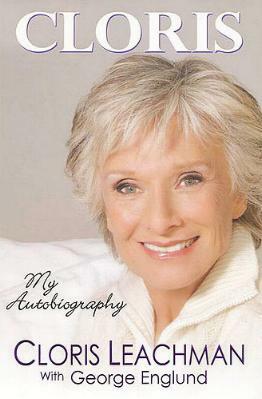 The fascinating and richly talented Cloris Leachman tells the story of her colorful life in her new book. Many of us remember her as Frau Blucher in Young Frankenstein or as Phyllis on The Mary Tyler Moore Show, but a whole new audience met her on Dancing with the Stars. And how wonderful it was to be able to see and enjoy Ms. Leachman as herself. Her story is not a remarkable one, by all accounts, but I found it interesting to learn how some things come about in people's lives. Ms. Leachman's career started on the stage, a little radio work here and there, and progressed to live television and movies. Oh, and an Oscar, too! There isn't much "gossip" in her book but you do get a bit of excitement reading about the celebrity parties she attended, who she's met, and who she's worked with. Naturally, she talks about her family, which by all accounts seems normal. Well, as normal as can be in Hollywood. Sadly though, she also relates the death of one of her sons from drugs. The great love she and her husband have for each other is a little unusual, but it works, and to me is admirable. I take my hat off to this 80-something woman who tackled learning new and difficult dances with enthusiasm and a huge sense of humor. You've got to be able to laugh at yourself, and Ms. Leachman imparted that lesson on the show. Thanks for the hug! Conclusion - An interesting life very well worth reading about.